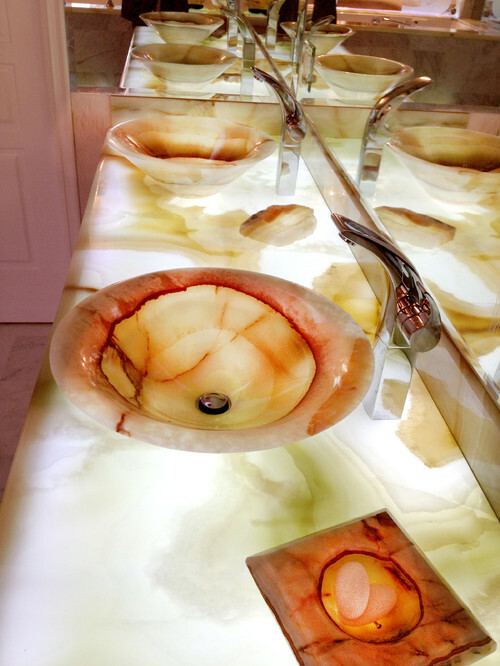 As much as it seems counterintuitive, the popularity of semi-precious materials and gemstones is rising in the countertop market. 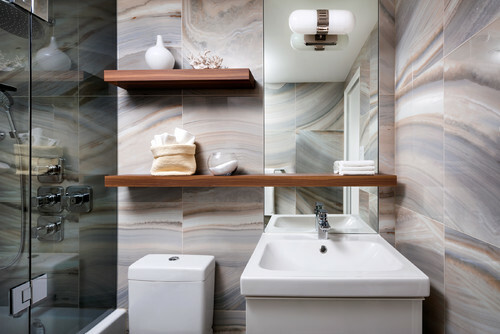 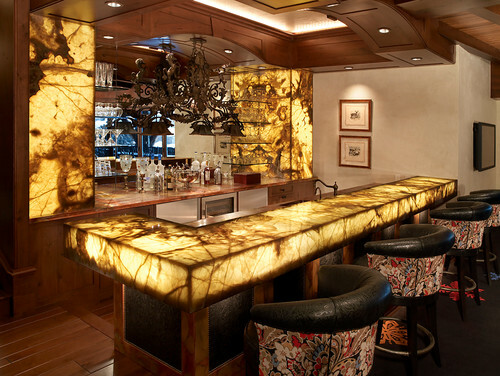 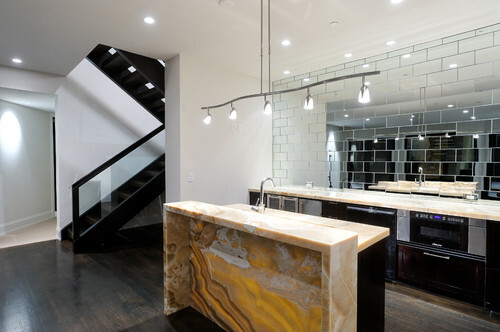 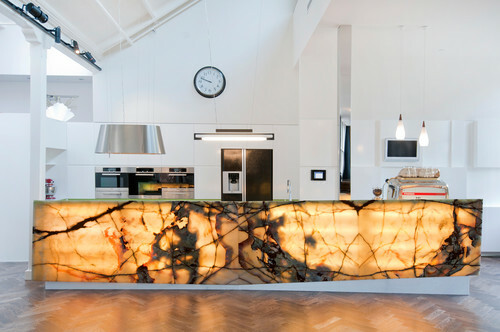 While most experts do not recommend semi-precious stone for kitchen counters that are subject to regular use, onyx is one type of rare stone that is being used more and more frequently throughout the home – on bar tops, kitchen panels, accent walls, and bathrooms. 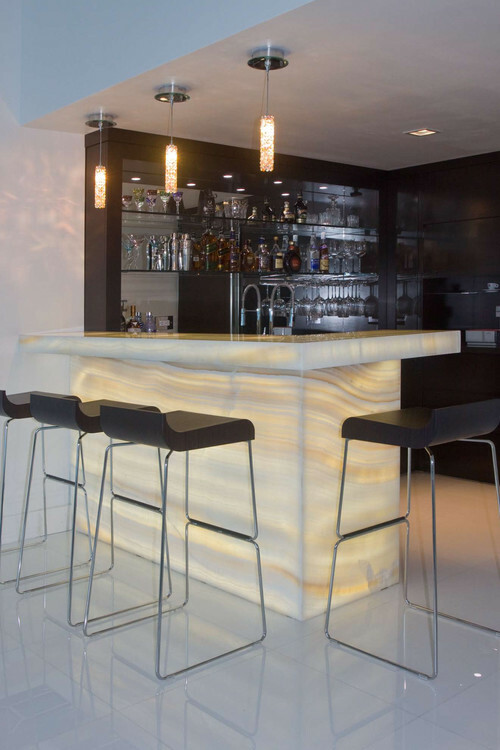 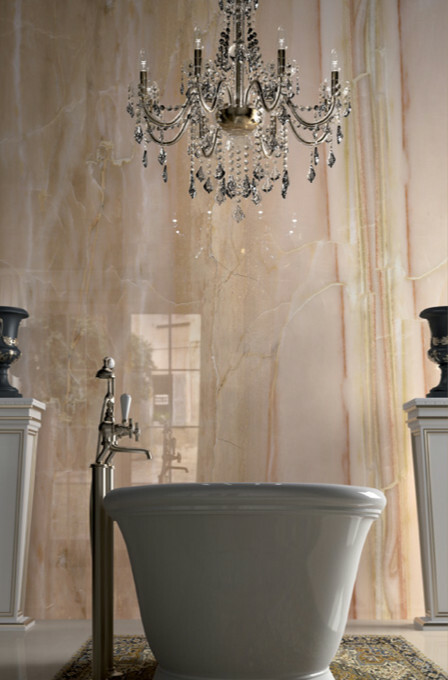 Onyx is a soft “royal” stone that is naturally formed by limestone that dissolves and redeposits, resulting in unusual and beautiful colors and a translucent quality. 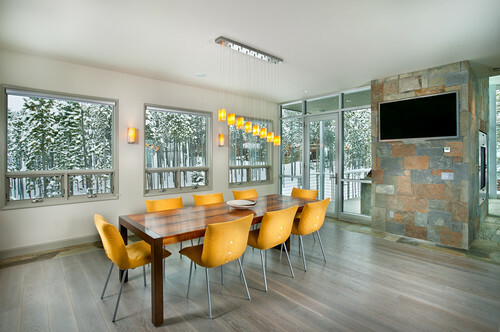 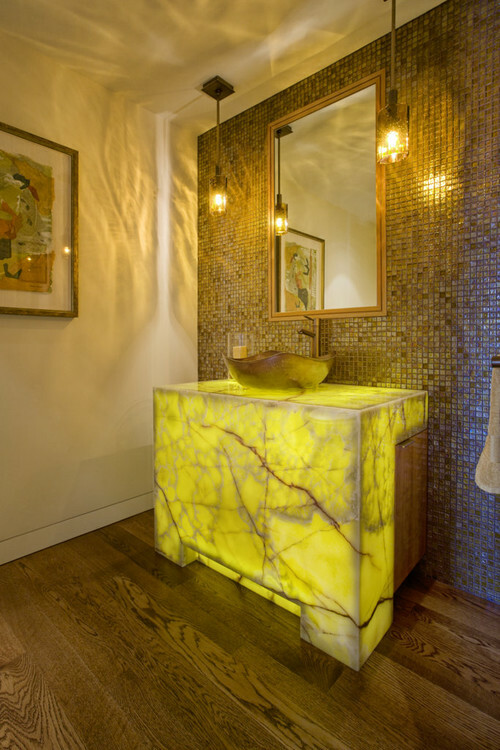 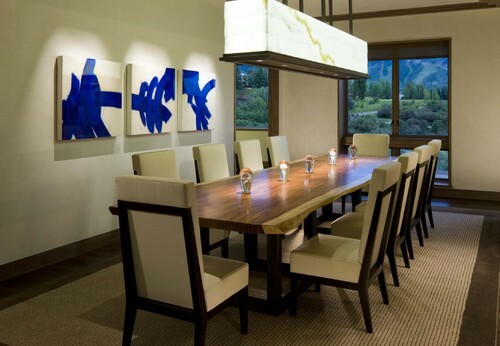 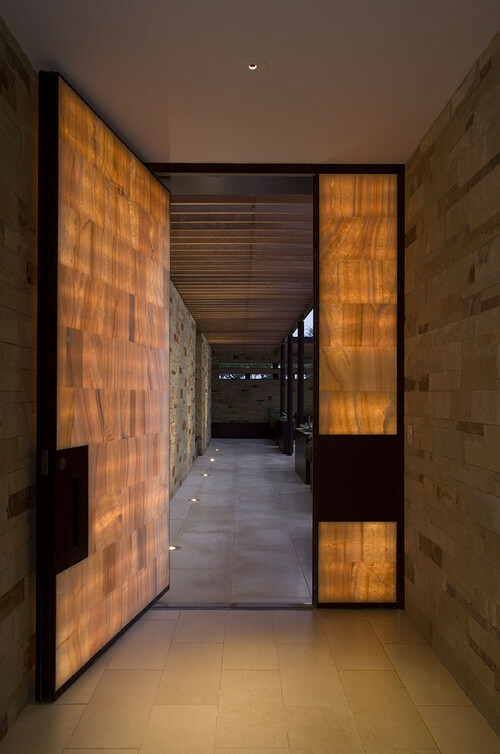 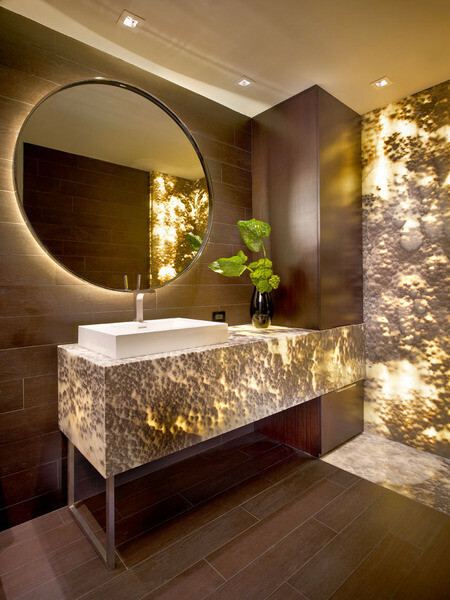 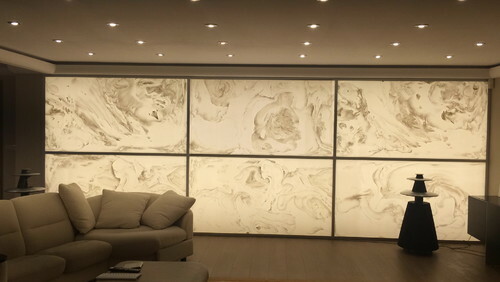 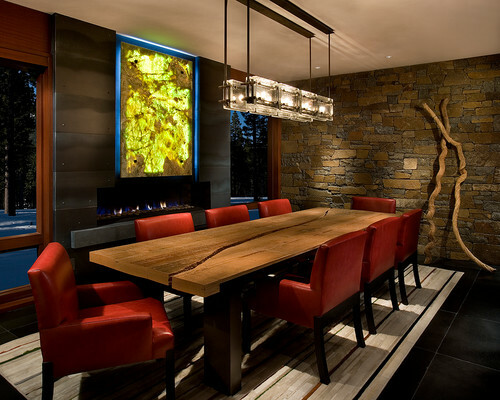 Its translucence is what’s making it a hot material in homes of every style; when lights are strategically placed beneath it, the stone takes on a striking luminescence that is impossible to reproduce with other materials. 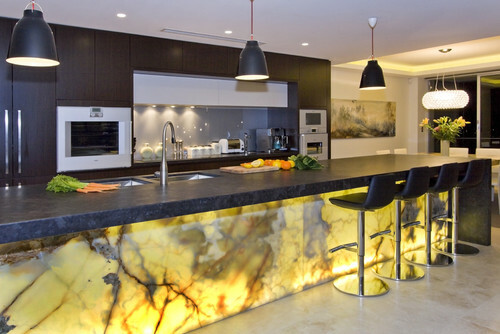 While onyx is one of the most expensive stones on the market and is susceptible to damage, it’s gaining popularity due to its sheer beauty and breathtaking uniqueness. 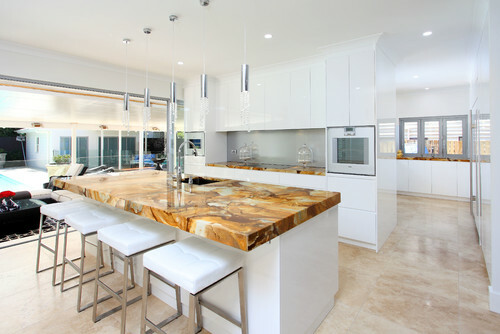 Kitchen by Divine Renovation Pty Ltd.
Onyx has made its way into bathrooms, too. 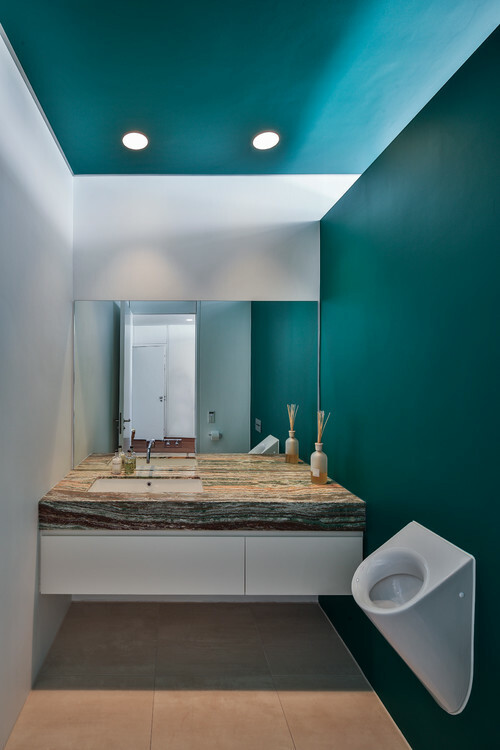 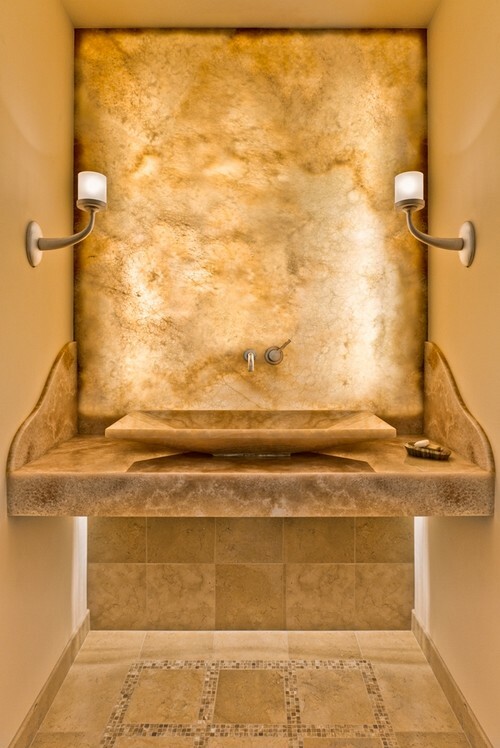 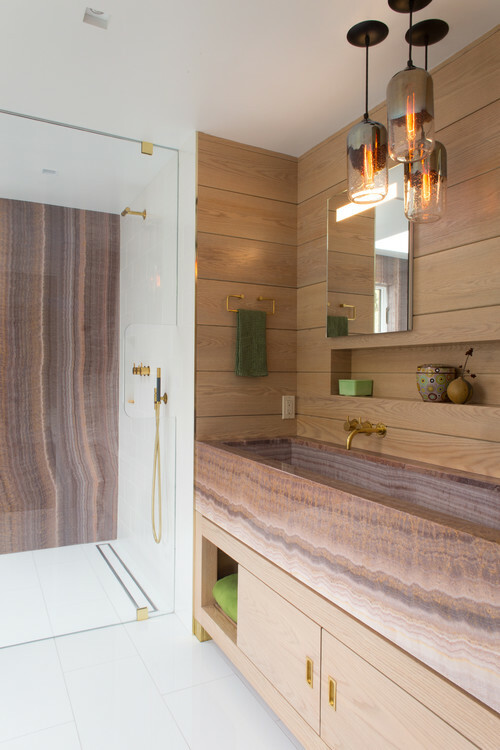 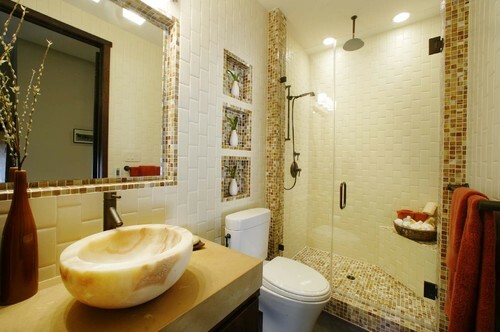 Bathroom by Hartung Construction, Inc. 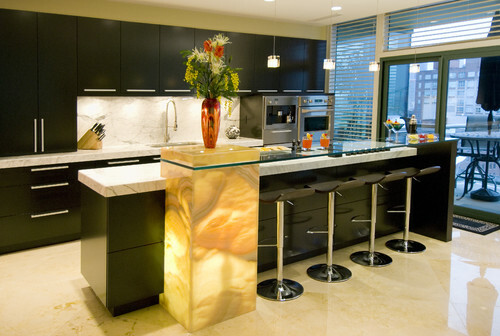 If onyx is not in your budget but you’ve fallen in love with it, see if you can squeeze in a reasonably-priced onyx light fixture. 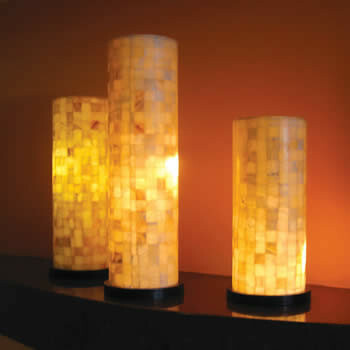 The material lends itself to it, and it won’t cost you as much! 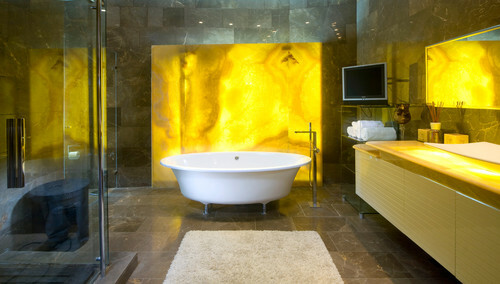 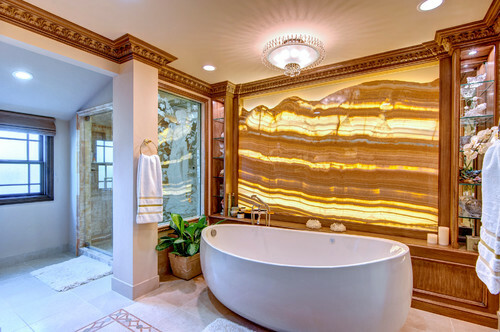 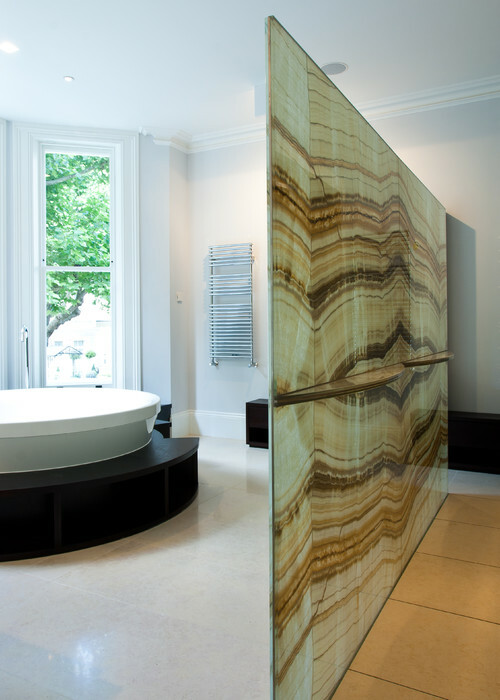 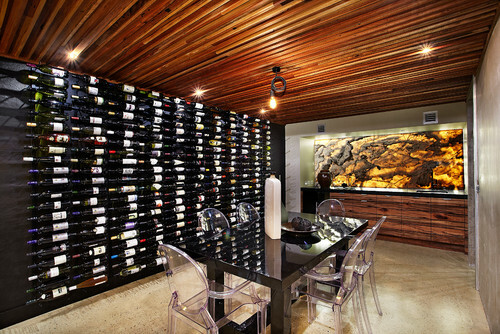 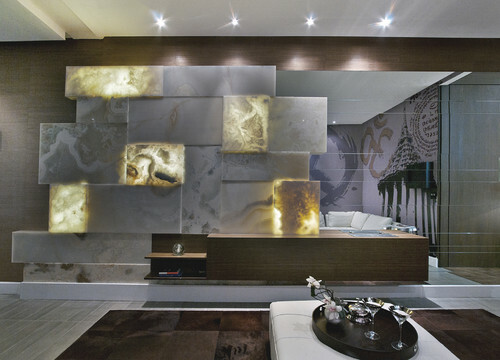 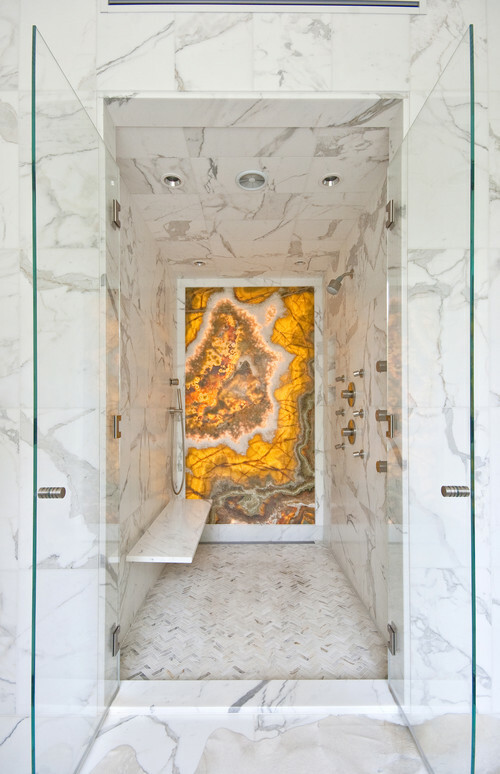 Where’s the onyx in your dream home?